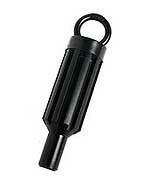 Basic gear shift tower spring tool. This handy tool compresses the A-7227 spring in gear shifting tower. IMPORTANT: Great care is needed, as the tower spring can cause a lot of damage to you and the surrounding workspace area. At last! No more having to turn the engine over to get the points on the cam lobe to set the points gap on the model A or B engine. This great new invention, enables you to quickly drop the setting tool over the distributor cam and set the points gap with the special feeler guage tool provided. Supplied with full instructions. All in all, a brilliant tool to keep in your tool box. (No, the distributor is not included). 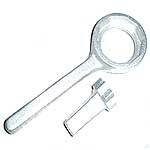 Ratchet nut wrench for the model A and B engine. This is a lighter duty version with a 6 point head. Ideal for keeping in the car, in case you need to turn the engine over to chech the points and timing. Ratchet nut wrench for the 1928-34 model A and B engines. Great when setting the timing, instead of the starting handle and makes the job easier, since you can rotate the crankshaft in both directions, helps to find top dead center. 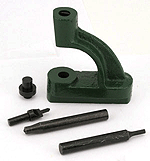 Use this handy tool to help remove and install the bushings in the Model A Ford distributor. Start at the bottom bushing and drive both of them out as the same time. 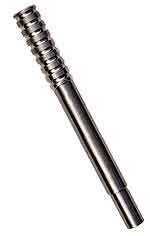 This really handy tool bolts to the rear flange of the crankshaft using your original flywheel bolts. The center of this plate has a hex nut welded to it so you can turn the motor with a socket and ratchet or a wrench. U.S.A.
Knock-off wheel puller 1909-48. With the wheel still bolted onto the hub, take the axle nut off and screw this on. Then you hit this to break the hub free from the axle. Made in USA. Crank Handle 1928-31. Use one end to crank the engine, and the other to change the tyre! 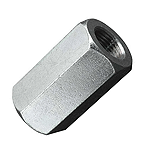 The later style with shortened end for lug nut to keep from scratching the wheel. Pin that is in the end for cranking over the engine goes in the same direction as the offset so it does not scratch up your floor pans when stored. Also ideal to use when timing your engine. Powder coated black. 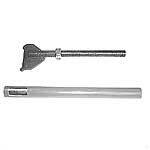 Tie Rod - Drag Link End plug tool 1928-31. 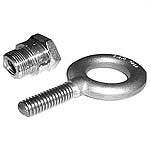 This tool removes the threaded end plugs in the tie rod and drag link ends. Made in USA. 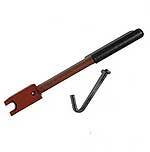 This tool only works on the 1/2" studs which were used on 1926-27 Model T's with wire wheels or on Model A's. The cutter is hollow so it slides over the threaded end of the wheel studs and then cuts the swedged shoulder off of the wheel stud. This is necessary when changing brake drums so you don't damage or distort the flange of the hub. 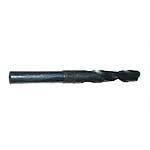 U.S.A.
Shackle bushing drill 1/2" shank 1909-31. 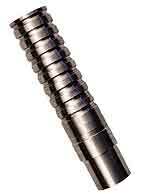 An alternative to an expensive reamer. 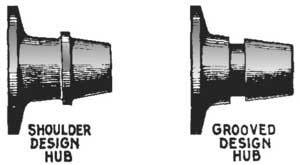 Drills your shackle bushings to proper bore. 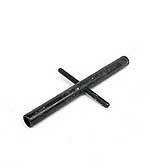 Pinion nut wrench 1928-31. Laser cut from 1/4" steel. You will need two of these to hold both nuts. Made in USA. Economy seal driver 1928-31. 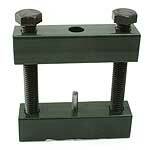 This is a low-buck tool for installing the A-4245 seals. The inside of the tool has pipe threads. Just screw in a piece of your own pipe. Made in USA. 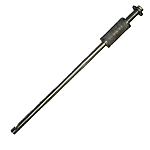 Comprehensive gear shifter spring tool for the Model A Ford transmission tower. 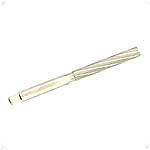 This is a much safer tool for removng or installing a gear shift lever. Safely compresses the A-7227 spring in gear shifting tower. This set of tools provides a safe and easy method of disassembly and assembly of the Model A transmission shifting tower components. 1928-31 Body Socket Tool. The tool to install the special sockets that go in the body for the side curtains to snap in to. Fan knock off tool 1928-31. To remove the fan, thread this special nut on the end of the pump shaft. By holding the fan and giving this tool a few good hits with the hammer, it will brake the fan blade loose from the shaft. Made in USA. 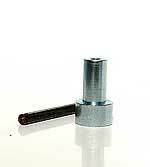 Valve guide tool 1928-34. This steel driver is a reproduction of a K.R. Wilson tool. 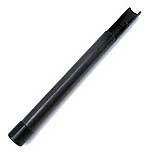 It provides easy removal of the most stubborn guides. Fuel Gauge Tool set 1928-31. A well made cast aliminium heat treated tool set for the model A gas gauge. Will not damage the chrome nuts. Made in USA. Carb Rebuilding Wrench 1928-31. A copy of the XR Wilson tool used in rebuilding the zenith carbs. Made in USA. Steering wheel puller 1928-31. 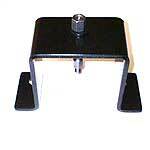 Our puller contains 2 pulling plates, one for the 28-9 steering wheel and the other for the 30-1. Removes the steering wheel from the steering shaft. Distributor cam wrench 1928-31. 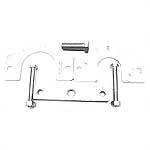 Slips over top of cam to hold it firmly in place while screwing or unscrewing the cam screw. For a perfect timing setting! Made in USA. Ignition Tester 1909-31. This handy tool is great for checking to see if you have spark. With the car running, just hold against the spark plug to see if you are getting spark to the plug. Works on T's and A's. Can also be used to see if model T coils are putting out. Made in USA. Polarity Tester 1928-31. Simply place this unit between the distributor cap and the coil wire, and it indicates if you have the wires on your coil properly as well as if you have spark or not. Coms with comlete usage instructions. 'Genuine Ne-Rex'. Made in USA. Tests condition of the coil, points and condenser by the amount of voltage being produced. 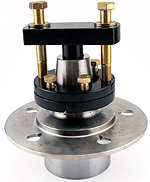 Simple tester snaps into the top of the distributor cap and shows the amount of voltage the system is generating. Low voltage indicates poor performing coil, points, or condenser. 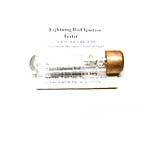 Works on 6 or 12 volt systems, negative or positive ground. Made by Nu-Rex.